Home / Support / Documentation / RSFirewall! 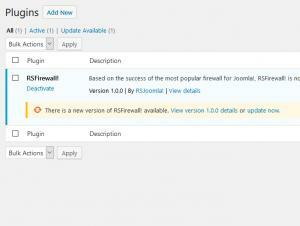 (WordPress) / Installing and uninstalling / Updating RSFirewall! Q: Is it necessary to uninstall before performing an update? A: No, you should never uninstall your component before performing the update. Uninstalling will delete all information in the database as well as the RSFirewall! files. You will lose everything if you choose to uninstall. Q: Will the update remove my existing data? A: No, if you perform the update by installing the component over your current installation, all your data and settings will be kept intact. The update will simply bring up to date the database and other files that are part of the new version. Q: Will the update override the source code adjustments I've made to RSFirewall!? A: Yes, if you've edited any RSFirewall! files (this includes .php, .css and .js files) they will be overridden by the update. If you did perform source code adjustments to RSFirewall!, please make a note of the changes you've made and re-do them after the update is performed. Q: What if I'm receiving errors when installing the update? A: You can take a look at our troubleshooting installation errors article. 1. Go to RSFirewall! > Configuration and click on the "Updates" tab. 2. Make sure you paste your license code in the "License Key" textbox. If you don't know where to get this code, click here. 3. 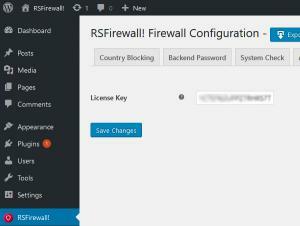 Head to Plugins > RSFirewall! > and click on the "update now" link from the notice displayed under the plugin. 5. If the update fails, you will have to make sure that you have added the license code correctly and afterwards you can test this one more time. 1. 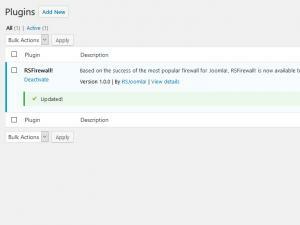 Login to RSJoomla.com using the username and password and go to "Downloads". 2. Click on "download component" next to the RSFirewall! WordPress logo and you'll be prompted to download the new version. The RSFirewall! package is a ZIP archive, make sure you receive that. Some browser might automatically unzip archives (such as Safari). If this happens, either ZIP up the contents back into an archive or disable this feature in your browser. 3. 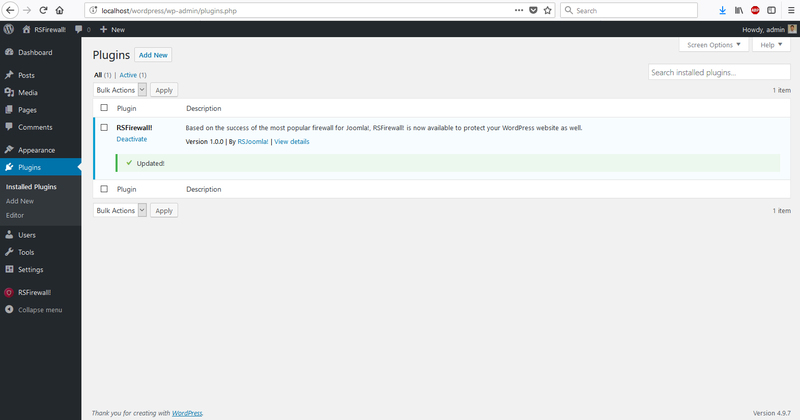 Using a FTP connection to your website, head to /wp-content/plugins/ and rename the "rsfirewall" folder to "rsfirewall_old"